THE CLASSIC "SHINER" BEER TASTING EVENT! WE HAVE SOMETHING FOR EVERYONE IN THIS LIVE TASTING EVENT! This Friday starting at 3:00PM-6:00PM we have a Live Tasting Event you won't find anywhere else around Fort Smith. We have something for everyone at this tasting event! You will not be let down! Tip back a Bock, brewed with rich roasted barley malt and German specialty hops, this lightly hopped American-Style Dark Lager always goes down easy. Originally a seasonal beer, fans have demanded it year-round since 1973. Pairs Nicely with porch sitting, washer tossing and dog petting. 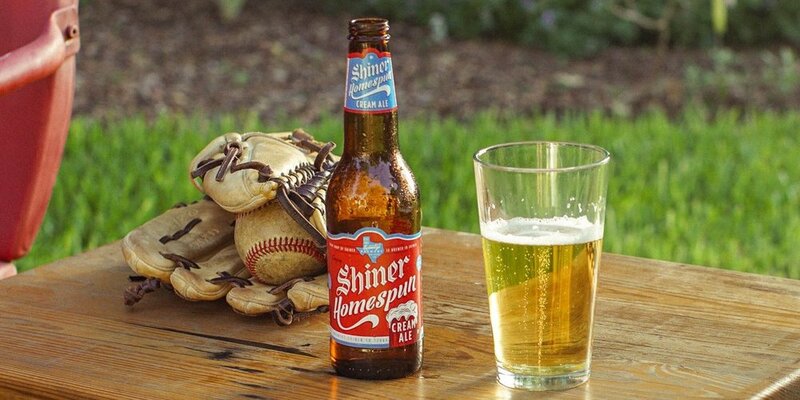 Shiner Light Blonde is Light done right. Don't ask us how we packed so much flavor into just 99 calories - we're not telling. The Perfect complement to a really well-tied rope swing. The first India Pale Ale in our 106-year history, Wicked Ram IPA combines perfectly balanced floral and citrus flavors with a bold aroma and a crisp, refreshing finish. Brewed with crystal, bravo and centennial hops, you'll want to grab this beer by the horns. For our 108th Birthday, we've brewed up something special. Our first Coffee Ale, crafted in collaboration with Austin's own Chameleon Cold-Brew. Made with Dark-Roasted specialty malt and Chameleon's beloved Cold-Brew Coffee, it's sure to wake up your tastebuds. But it won't be here forever, so pour yourself a fresh cup while you can. Wake up and smell the beer! Kick back with our spin on a classic american recipe, it's crisp, easy-drinking, and brewed with specialty wheat malts for a finish as smooth as the lavaca county horizon. Here's to a new texas tradition. NO Milk, Cream or Dairy. Just Deliciousness! Come Join Us At Happy Hour Wine & Spirits, South Hwy. 71 Fort Smith! Ohhhh Boy, it's Captain Morgan Tasting Time!